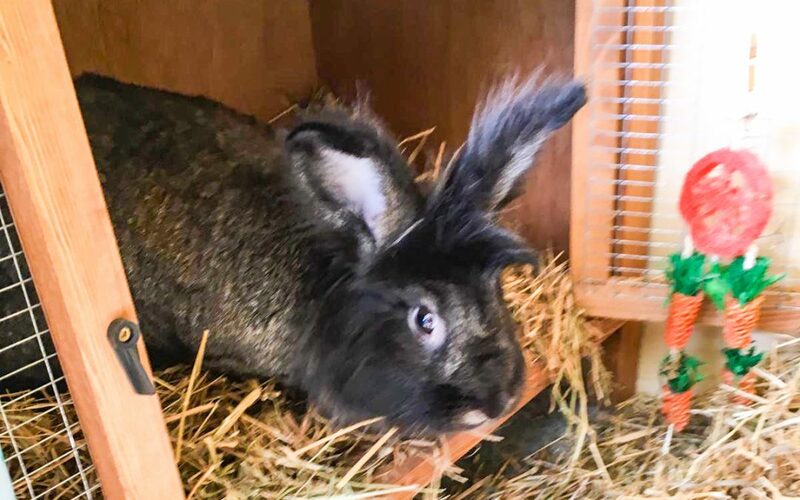 Frieda, a male rabbit has arrived at London and Essex Kent’s Farm Kennel and Cattery. He arrived today from Dubai for a four month stay in quarantine. We are licensed and approved by Department for Environment Food and Rural Affairs (DEFRA) as a quarantine kennels and cattery and carrying agents. Our kennels and cattery are unrivalled for space, so Frieda can look forward to a comfortable stay with us. Our 20 acres of parkland only 10 miles for the heart of London is conveniently located, being only 3 miles and 5 miles respectively from the M11 and M25 motorways. Our spacious facilities are all heated, providing a warm, luxurious environment for your pets. All bedding is provided however owners are more than welcome to bring their pet‘s own bedding, toys and treats. We are happy to discuss your requirements personally with you or your chosen agent. Meanwhile Frieda is ‘Hop-timistic’ about his future and is settling in nicely to his new surroundings, unaware of the cold April snap outside in the UK, having spent time soaking up the 36 degree + heat in Dubai – it’s just as well he has come here for Easter because in Dubai he was a hot, cross bunny!! Boom boom tish!